As I approach graduation, I’ve been doing a lot of reflecting on my four years at Wash U, like most seniors. Without question, being a part of the first team of Arthur Greenberg student curators (along with fellow seniors Danielle Wu and Samantha Allen) has been one of the most formative and fulfilling experiences of my college career. I hope if any of this year’s Greenberg hopefuls are reading this, you apply and have as wonderful an experience as my team and I have had. 1. How did you get involved? 3. What were some of the most rewarding parts of the experience? To answer the first question – our team came together out of Danielle’s proactivity and our team’s interest in contemporary Asian female artists. Danielle heard about the brand new proposal contest and grabbed Sam and me after our Baroque class. We bonded over our joint interest in East/West cultural exchanges and the fantastic visual and social conversations appearing in contemporary Asian art. Our shared interests, as well as our cross-disciplinary backgrounds in Art History, Design, Education, History, French and Mandarin fueled our fire and helped us write a winning proposal. 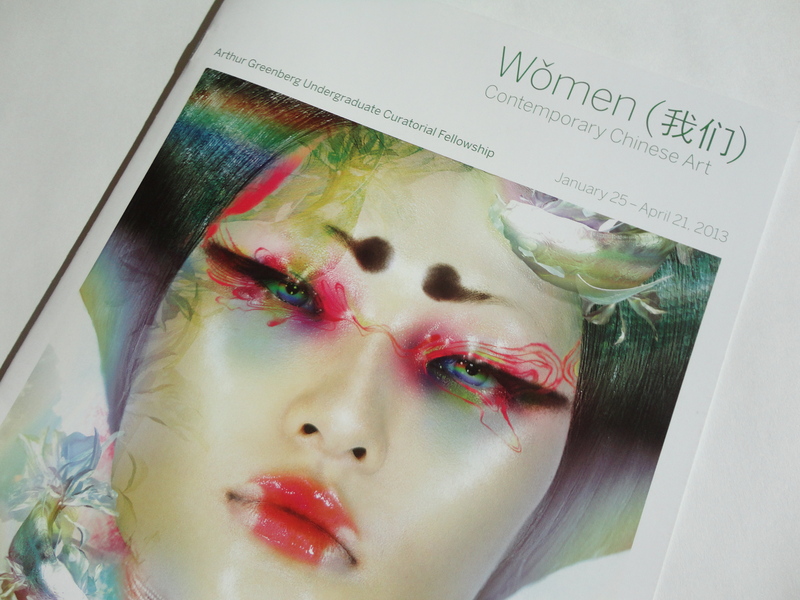 From there, we worked with the amazing museum staff and our academic advisor, Professor Kristina Kleutghen, during our summer internship at the Kemper and subsequent independent study in the fall to refine our proposal on contemporary Chinese female artists. Which brings me to the second question – why this topic? 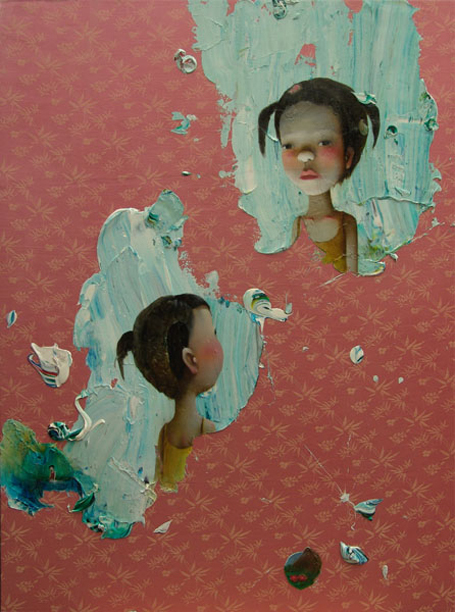 Chen Ke’s painting, Another Me In the World, was the first artwork (of many) that I truly connected with on a deep level as we began working on this project. While the piece was much too large to ever be shipped to the Kemper, we were able to procure a series of 6 similar photographs from the same series. These images are so raw to me in their ability to convey the both the artist’s playful, otherworldly childhood imagination and also her hopeless, isolated longing for a sibling (Ke was born in the year China enacted the One-Child Policy). While this series was what first grabbed me on a formal level, as we researched further, we continued to find similarly compelling dichotomies interwoven with both historical and modern social issues. There is no question that China is one of the most radically transformed countries in today’s world. 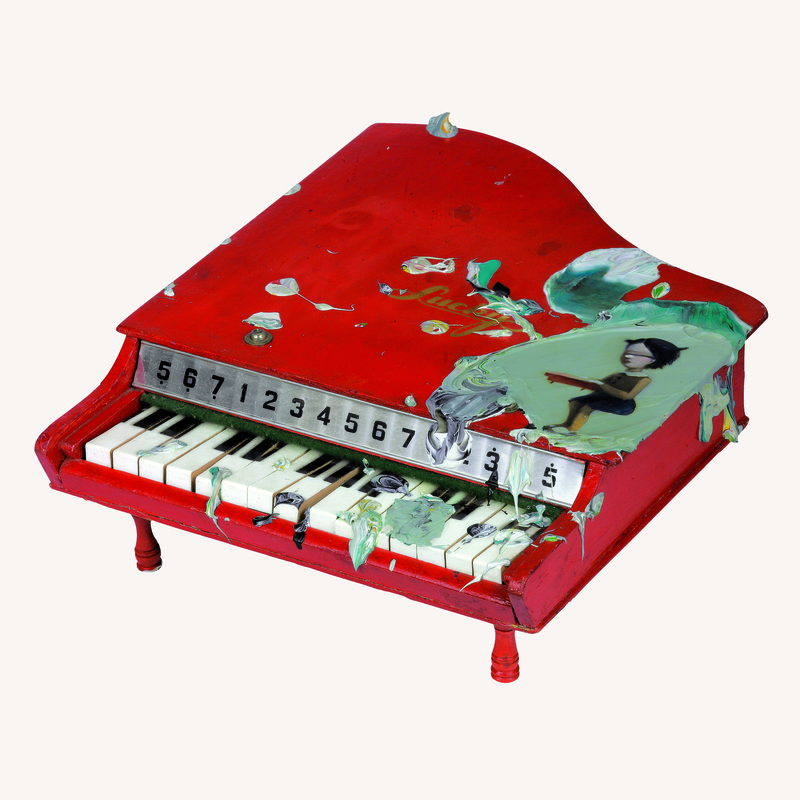 The artworks in the show reflect the disparities between the reality and illusions of modern life. The female artists we chose to exhibit in our show touch on issues of globalized societies, high and low art, Westernized perceptions of feminine identity and politics, advancing technology – all with a sense of tangible artificiality. These new investigations bring me to the third question – what were some of the most rewarding aspects of Greenberg? 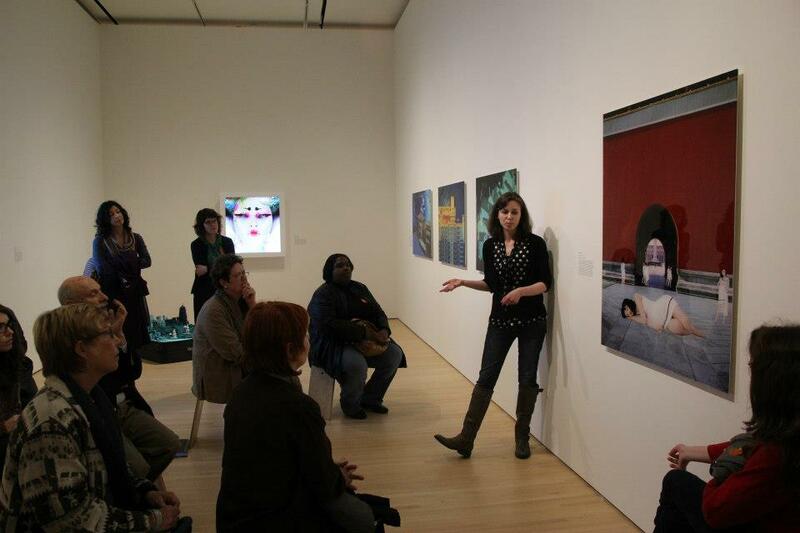 On an academic level, we had an in-depth, practically graduate-level experience in the professional museum world. We were given the opportunity to write the catalog essay, artist bios, and exhibition wall panel text, culminating in a keepsake catalog for our show. Given my design major, I loved the chance to talk to the designer about the typographic look and feel of our catalog. (If you’re interested, check out our catalog here). After we finished the catalog and the show was up, we prepared a gallery talk that we presented to members of Women and the Kemper. It was a great experience to hone our public speaking skills and practice presenting all this complex information in relatable ways to an audience who was largely unfamiliar with the subject. One of our favorite programming events was volunteering at the Kemper’s Community Day. 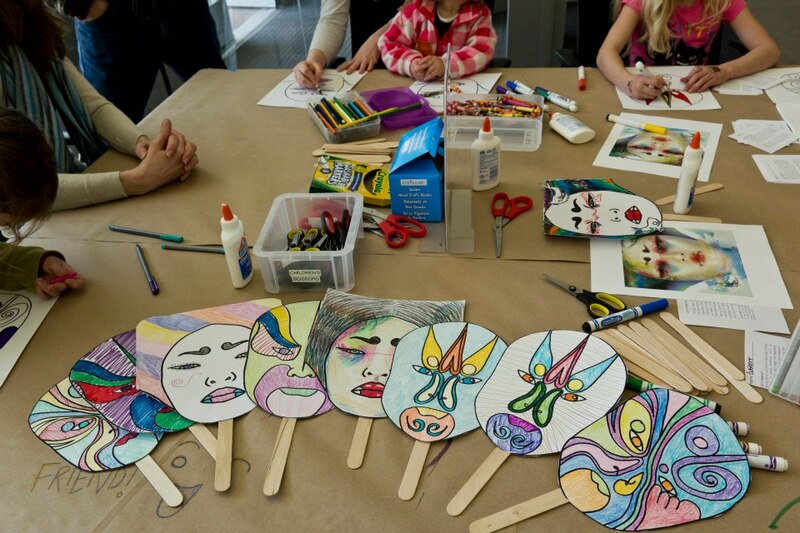 Sam, who’s an education major, loved the chance to explain Péking opera masks to elementary-aged kids and their parents, and we all enjoyed the chance to relax and socialize at the craft table. 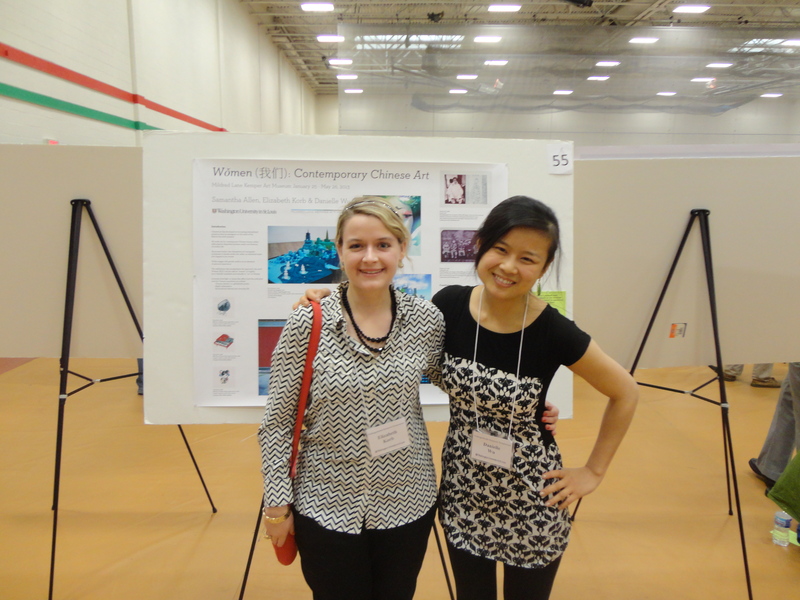 After the show closed in late spring 2013, we were also able to present our research in the Undergraduate Research Symposium and have our abstract published. Danielle also presented her own research for the Mellon Mayes Undergraduate Fellowship where she is investigating one of the artists included in our show, fashion photographer Chen Man, as well as Chinese images of beauty. This poster presentation is just one example of how we’ve continued to engage with our subject after the show. 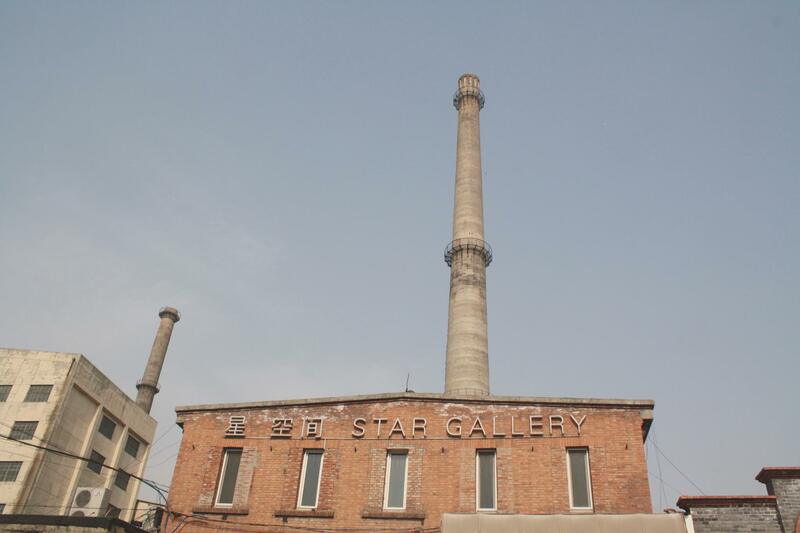 The summer following our exhibition, Danielle was able to study abroad in China, even getting to intern in the contemporary art district, 798, of Beijing at Flying Art Gallery 红艺术中心. She got to see some of the galleries where our show’s pieces came from, as well as meet former Sam Fox Island Press Visiting Artist, Hung Liu, at her studio. From the year and half we spent working on Greenberg, the three of us have become incredibly close. We hang out whenever we can – crafting, seeing movies, enjoying some quality crepes. Some of our fondest memories have been with Professor Kleutghen, who has been such a kind mentor and outstanding role model, going above and beyond her role as an advisor. 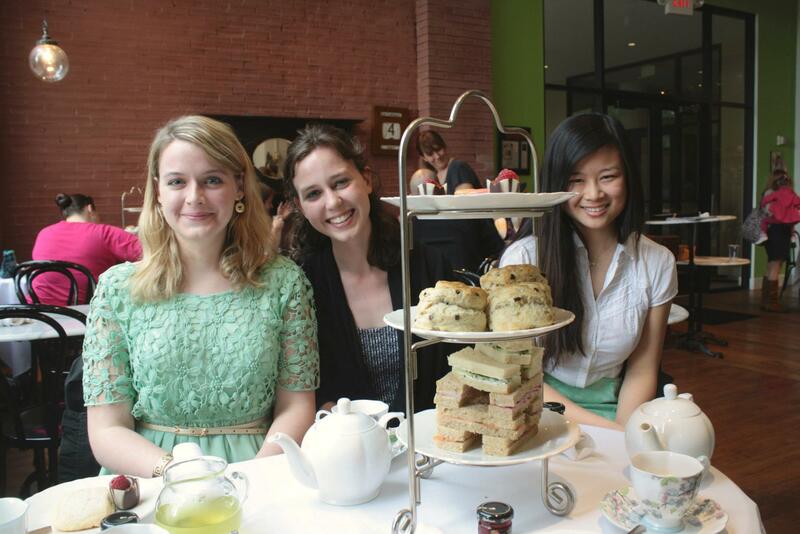 To celebrate our group success, we all had high tea at the London Tea Room after the show closed and we made dinner together at her house at the start of our senior year. 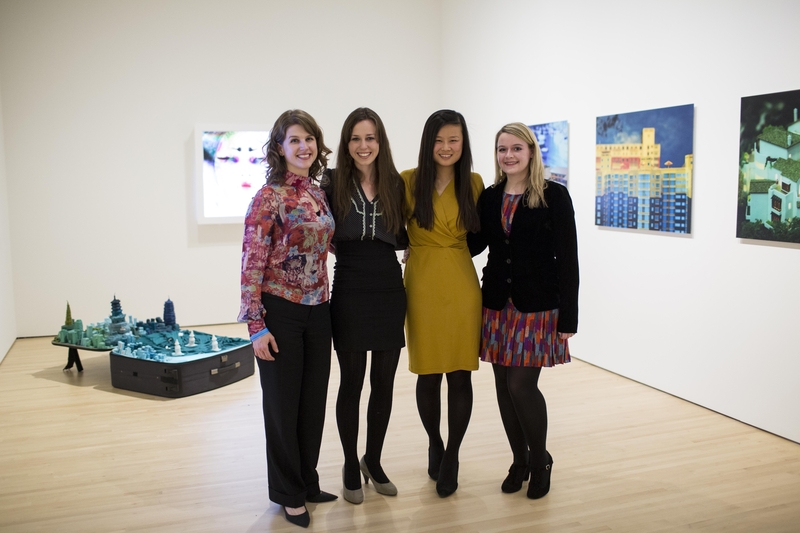 The experience of being a Greenberg fellow has profoundly shaped all our experiences at Wash U and has given us unparalleled academic and professional experience in the art world. I am so grateful to the Kemper, the Art History Department, and the Sam Fox School for giving us this opportunity. I can’t wait to see who is selected this year as the next team of fellows! You all are in for a real treat since, as you can see, the experience extends far beyond just the exhibition. The Greenberg Curatorship enriches your understanding of art and gives you a lasting connection to your topic and with your teammates – just like this experience did for Arthur Greenberg and James Cohan decades ago.